As branded content becomes ubiquitous in the advertising and media landscapes, companies are using different storytelling techniques to stand out. Screenwriters and directors are being called on to create short brand films and documentaries to be distributed widely. Typically, brand films don’t hawk products or experiences. They don’t exist for product placement purposes either. Instead, they serve to entertain, inform or inspire, while aligning the company with a certain feeling. Breaking away from the 15-, 30- and 60-second formats dominating our screens, brand films can be anywhere from a couple of minutes to a couple of hours long. At the end of 2017, Patagonia released a mini documentary about private land use in Scotland. In it, they profile a law that was written in 2003 to grant rights to the public to use private land “for educational and recreational purposes.” This is a big deal in Scotland, as so much of the land there is owned by a small percentage of the people. For Patagonia, the film is not only socially conscious, but also packed full of beautiful imagery scored perfectly to local music, a liberty-based narrative and the international adventures of a young couple. BOOM! That is exactly what the brand represents and where it wants your mind to go when you think of it. Famous filmmakers are also jumping into the ring. 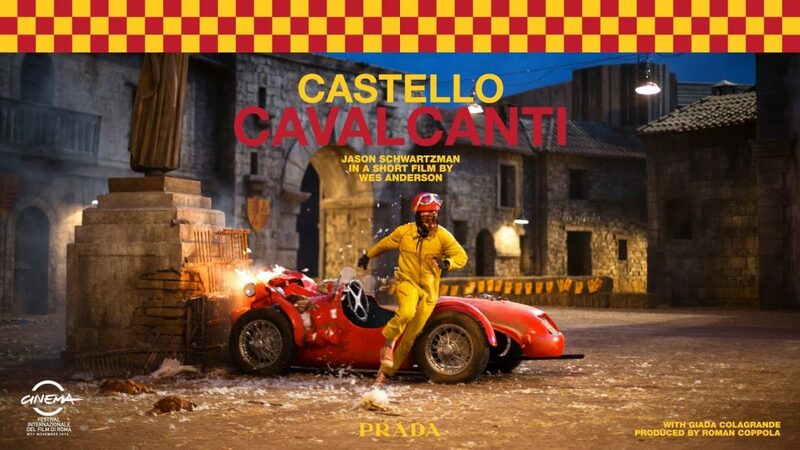 Prada commissioned critically acclaimed writer and director Wes Anderson to create a short film, “Castello Calvacanti,” which stars his beloved actor Jason Schwartzman. Like all of Anderson’s work, the piece is a visual stunner, accentuated by rich colors, a perfectly designed set, soft lighting and his distinct cinematography. The storyline — which involves a Formula One race car driver (Scwhartzman) crashing his car in a small Italian town, only to get drunk with the locals and discover they are related — isn’t as much about brand positioning as it is about visual prowess. The video has attracted more than 1 million views on YouTube and premiered at the Rome Film Festival. Brand films are not sales pitches, because consumers are going out of their way to watch and share them. They are art in and of themselves, aligning the brand not with what it is selling, but why it is selling it: the culture, the values and/or the aesthetic. By partnering with Wes Anderson, Prada expanded its brand to include Wes’s brand and all it means to his fans and those he has influenced in fashion, film, art and music. We’ve experienced a revolution in American storytelling over the last twenty years — beginning with the success of The Sopranos and leaving us now with 10-hour-long, movie-quality television. This advancement has given us podcasts, webcasts and, yes, brand films. So, what is the future of brand films? I suspect it will be as nuanced and sophisticated as the future of storytelling is bound to be, given its recent past. With the recent announcement of Instagram TV, you can count on seeing more long-form (max 60 minutes) video content from brands. And of course, there is now the Brand Film Festival, which occurred for the third time this May in New York City and London.